Can you believe that 2012 is almost over?! Only one day left before we ring in the New Year! I hope that you have all had a great year and that 2013 will be even better. I want to apologize for my lack of posts lately! We have had a friend, named Jean Claude, visiting us all the way from Rwanda. We met him while we were on a mission trip there this past summer. He has a ministry called Best Family Rwanda, and we have been helping him advocate for the orphans in his program while he’s here in the U.S. So we’ve been very busy traveling, organizing speaking arrangements, and introducing him to a network of supporters. It has been an incredible week of ministry and seeing God get the glory through Jean Claude’s testimony and his obedience to God. Anyways, I have a few spare minutes to post this fabulous recipe for you! 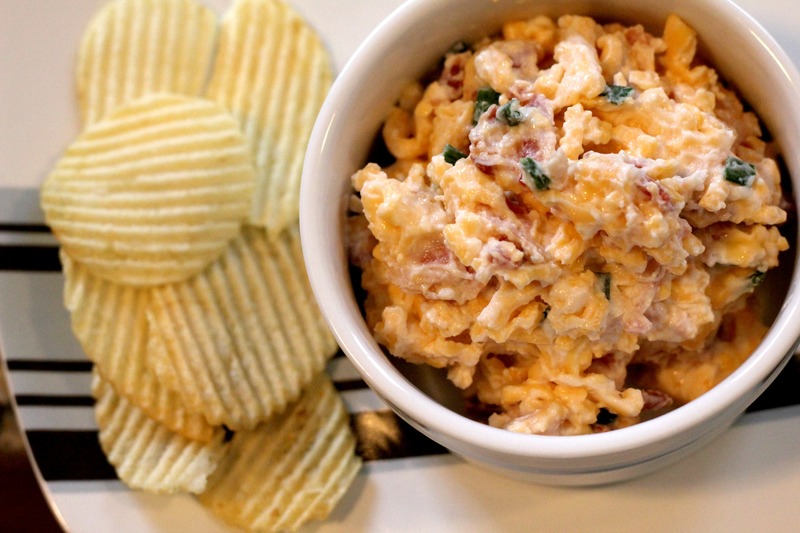 This Loaded Potato Dip would be perfect for a New Year’s Eve Party! And for you football fans, there are lots of bowl games coming up this week. I know you’ll want to serve them this delicious dip for game time! It’s also REALLY easy to throw together. Combine all ingredients in a medium bowl. Refrigerate for at least one hour before serving to allow flavors to meld together (don’t skip this step! It’s not very good if you eat it before it’s had time to chill for a while). Garnish with extra shredded cheese, crumbled bacon, and chopped chives. Serve with your favorite potato chips or pretzel crisps. Sounds like you had a nice time with your friend from Rwanda. This looks and sounds excellent and easy!! We had a blast! God has just been moving in some amazing ways, and we’re blessed to be a part!